Another freebie up on Coupgon! 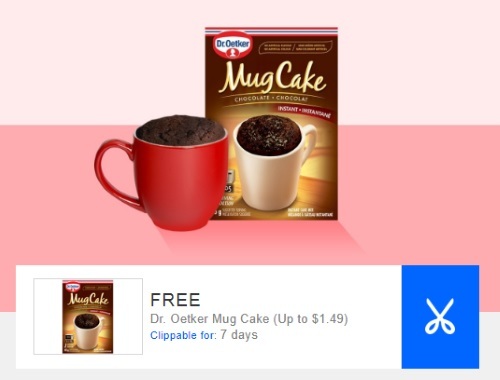 Check your app for a coupon for a Free Dr.Oetker Mug Cake (up to $1.49 value). Valid at FreshCo, Zehrs Markets, Longo’s and Chalo! FreshCo. Offer is valid until September 27, 2017 or while supplies last.